You want to create a delightful living place. 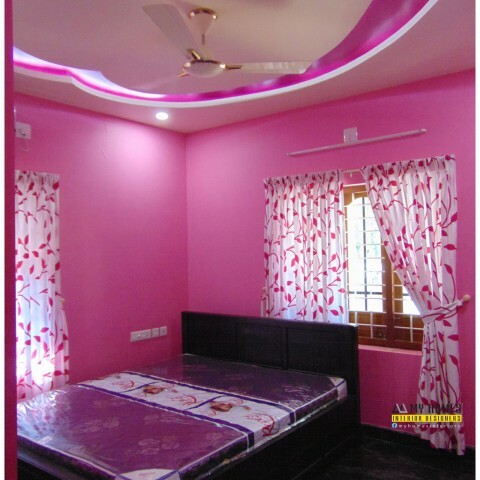 The Kerala home designers can help you to achieve your dream home. Most of the people want to create simple and sophisticated living room. There are many ideas to make delicate living place. 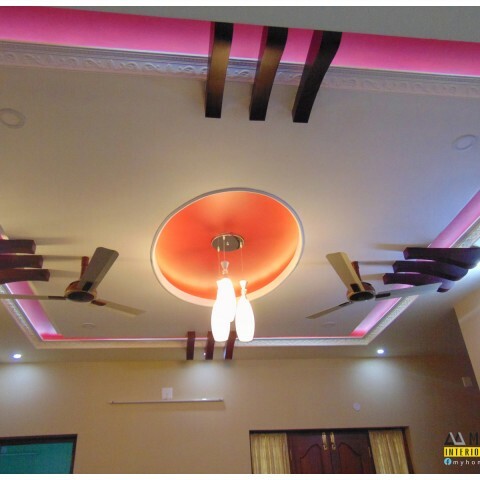 Before designing you have to make good consultation with an experienced designer your needs and wants and other demands must be discussed with him he can filter your suggestions and guide you in right way. 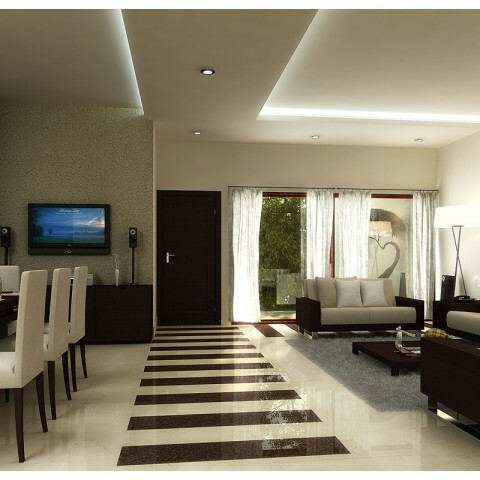 Spacious living room lent many opportunities to decorate your living place. Every corner can be making more attractive and beautiful. 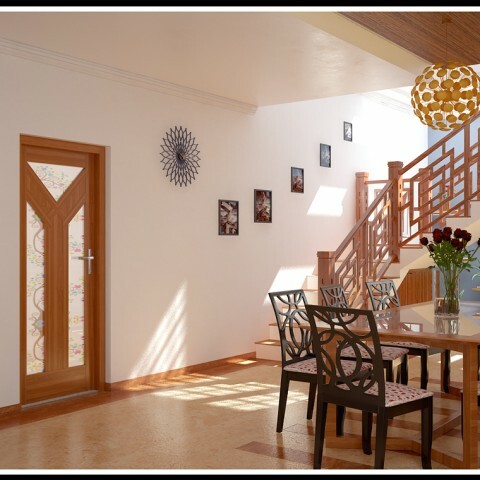 The traditional wooden art mixed with contemporary style to create a fantastic living area. 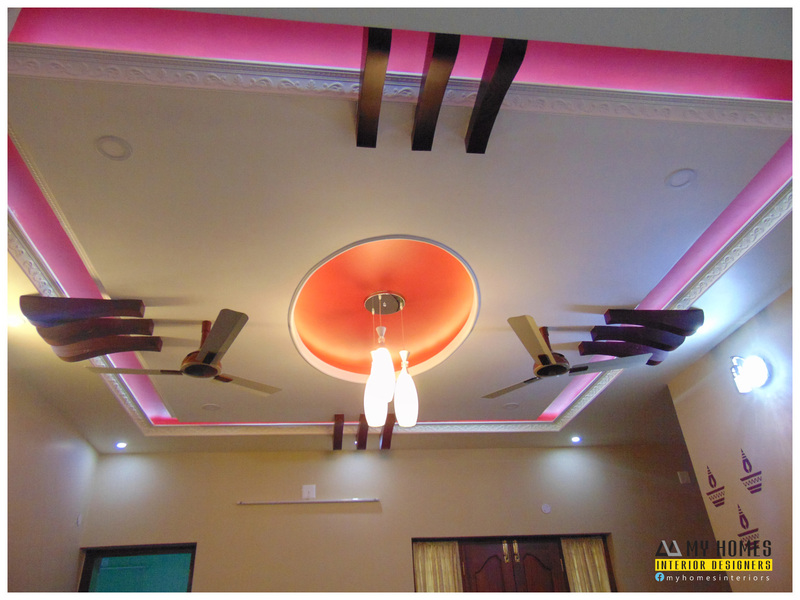 Living area is a social place we make most of interaction in living area so that place can lent a good atmosphere. So it is make impact on our daily life. 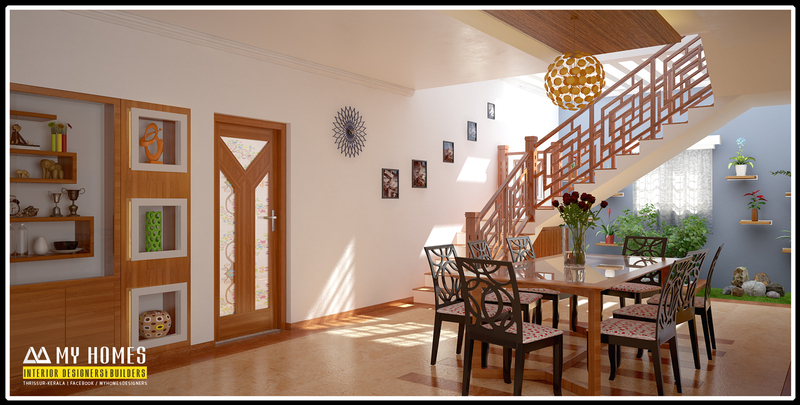 Kerala house interior designers open a new gate way in designing of the interior. This is a novel design of living place. 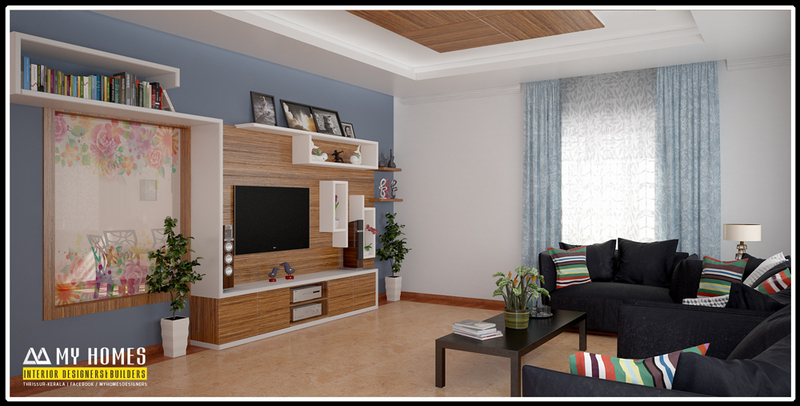 The color combinations of living room make impact on our mood. It is gathering place so there is need a fresh atmosphere and positive energy so while choosing the color texture that factors to be consider to make decision. The needs of the people are different. So that matters is always based on personal likes and dislikes. 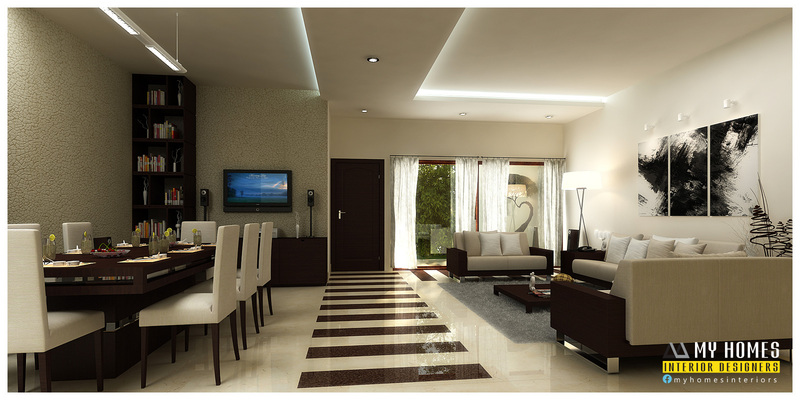 It is classical living room layout. It is very spacious but minimalist using of accessories lent a standard look to the living area. The television is fixed on the wooden panel. In the back ground of the panel or the wall is fully covered with wall tiles. Like that in the ceiling there is both wooden and gypsum plastering. The curtain is very transparent so it is providing plenty of sunlight and natural air that is keep the living room fresher. 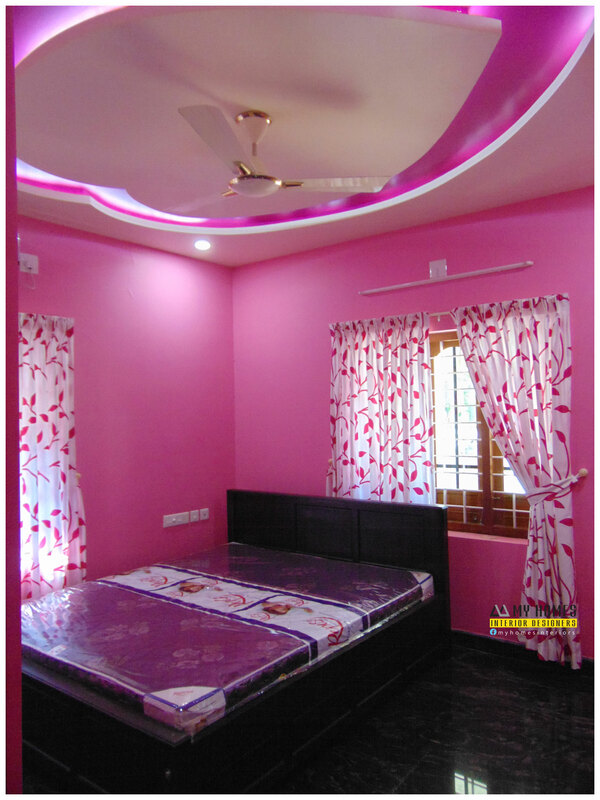 Some of the wall paintings and statues are used to decorate the show case using many number of accessories is not good we follow minimalism to enlarge delicacy of the living room designs kerala style. The white is cool color so it has the ability to reduce the temperature and keep the area always fresh.